Brace yourself! After months of challenging aspects and more retrogrades than I can count, we enter a two-week cycle of nothing but positive aspects. Can I get an amen, over here? This week there are very few changes in the cosmos. There is one sign change when Mercury moves into Sagittarius on Wednesday and one planetary aspect on Sunday as Venus in Scorpio sextiles Saturn in Capricorn. So, it’s going to be short and sweet this week, but the upsurge of positive energy will be a welcomed relief. The Moon moves through responsible Capricorn, and it’s time to dig in and get to work. Projects and business-related activities are good to focus on while the Moon is in the sign of the goat. During the late afternoon, you may want to pursue your agenda, but social pressures may interfere, which may cause a bit of tension. Matters will improve once the Moon moves into Aquarius. The Moon moves into Aquarius, and your focus will move to the great big world around you. Connecting with friends and associates is a positive use of Aquarius’ social energy. Invite someone to a coffee shop or for dinner. Communicating with like-minded people will revitalize your soul. Mercury moves back into Sagittarius, the sign where Mercury went retrograde in November. You may need to control your hold on spending while Mercury moves through the sign of the archer. Sagittarius likes things to be larger than life but leave that to philosophical beliefs and big picture goals and not y our credit card balances. Otherwise, the Moon forms a lovely sextile to the Sun, so overall it should be a good day. The Moon moves into emotionally sensitive Pisces during the early morning hours. Pisces is about charity and compassion, so reaching out to people in need or doing something in your community. This will evoke Piscean energy wisely, and you will find you feel better for doing it. However, later this evening you need to put up your emotional shields, or you might go into overload. The Moon continues to move through the sign of the fish throughout the day. Try to get as much as you can get done during the morning hours because the Moon’s conjunction to nebulous Neptune may make it difficult to concentrate during the afternoon. A positive way to work with Moon-Neptune energy is to take in a good movie, to listen to music, or doing spiritual work. It’s best to leave the tough stuff for another day. On Saturday, the Moon spends most of the day void of course. It’s not a good day to start anything new, so put your feet up and relax. Perhaps some personal time is in order. During the evening hours, the Moon moves into fiery Aries, and your energy levels will begin to return to normal. Saturday evening is great for socializing and spending time out with others. Put on those disco shoes and head out on the town. The only astrological aspect of the week occurs on Sunday when Venus in Scorpio sextiles Saturn in Capricorn. If you experienced relationship issues during Venus and Mercury retrograde, Sunday is a great day to work things out and cruise into the holidays without any lingering tension. 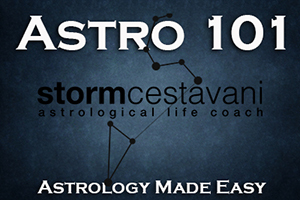 This entry was posted in astrology and tagged astrology, Cosmic Weather Forecast, horoscopes, Mercury in Sagittarius, Storm Cestavani, Venus sextile Saturn, Zodiac on December 8, 2018 by Storm Cestavani.